Today is Tuesday, December 28th, and that means it's time for the next two games on our top ten list to be revealed! Here are our picks for the seventh- and sixth-best games of the year that was 2010. If there’s one regret I have about last year’s top-ten list, it’s that we failed to squeeze Assassin’s Creed 2 in. It was one of those situations where I was the only one who had played the game by the time our deliberations came around, and so we had to unceremoniously shelve it. It’s a shame, because at the time I strongly believed -- and once the rest of the guys got around to it, they universally agreed -- that it was one of the most significantly improved sequels in this generation of gaming, and a damn fine game in its own right. I fell for the original Assassin’s Creed in spite of its faults, but Assassin’s Creed 2 did what very few sequels have done: It fixed every significant problem the original game had in a way that made the sequel highly appealing both to its fans and its detractors. It’s about as close to perfect as a sequel can be. But what’s done is done, and Assassin’s Creed 2 will never make our top-ten list. 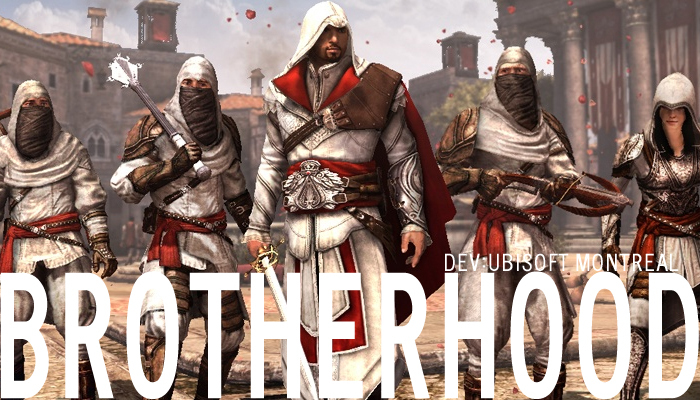 Assassin’s Creed: Brotherhood, however, handily earned its spot in this year’s list. While it didn’t boast the same gargantuan list of improvements that AC2 had, mostly because there wasn’t a whole lot to conceivably improve upon, Brotherhood tells the most compelling story the series has yet seen, taking both Ezio Auditore and Desmond Miles in unexpected and fascinating new directions. While the pacing and world structure were significantly different from previous entries, the game was tighter, better-directed and more compelling than its predecessors. The metagame of recruiting, training and managing assassins added a great sense of progression to the series’ trademark “climb, discover, stab” mantra. A rich, deep and satisfying single-player experience is commendable, but it’s the competitive multiplayer action that makes Brotherhood particularly noteworthy. It’s always risky when a big-name game franchise dips its toes into the turgid waters of multiplayer gaming, but Brotherhood’s multiplayer requires a sort of restraint and cleverness from the player that is almost nonexistent in other games. It was a bold risk to take, but it paid off marvelously. The thrill of pulling off the perfect assassination undetected surpasses even the best round of Halo or Call of Duty that anyone could ever hope for. 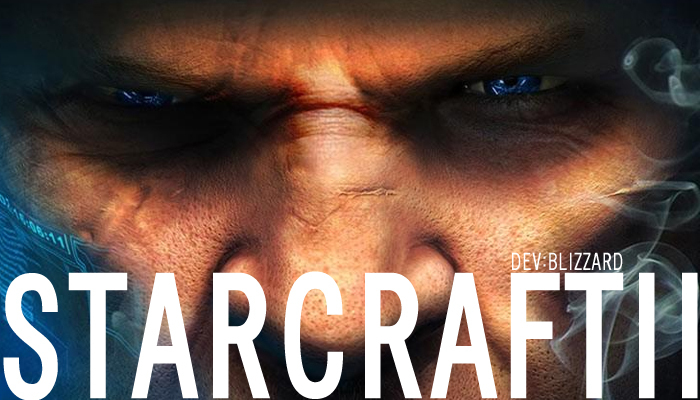 Let’s be honest: StarCraft II: Wings of Liberty was always going to be a top seller. Activision could have ordered Blizzard to fill the retail discs with little more than a folder full of goat-feces jpegs, announced the fact in a press release, and pre-release events still would have been packed. This entry on our list should suggest the above didn’t happen, but that StarCraft II lived up to the expectations set by its predecessor and twelve years of pent-up anticipation. A full decade on from the release of its predecessor, Wings of Liberty serves as a shining proof of Blizzard’s continued expertise in game development. Multiplayer has, of course, surpassed the standards set by Warcraft 3 — there’s amazing support for community developed maps and gametypes offered by the in-game map store, and the new engine is capable of considerablegenre-bendingfeats (but don’t let the others know I told you so). All of this, however, is mere icing on the cake that is made up by the single-player experience. As a narrative, Wings of Liberty is simply beyond compare in the strategy genre, rivalling even some RPGs in terms of storytelling quality. The exquisite narrative, with its entertaining characters, appropriately deep or silly dialog at varying moments, and surprisingly superb in-engine delivery, accompanies a good mix of missions and improved gameplay. In StarCraft II, multiplayer conventions are also sometimes thrown out the window in favor of good, honest fun, allowing for units and upgrades that would break multiplayer balance.